Each year, the TEDWomen conference convenes over 1,000 women and men to share powerful talks that take on today's breaking issues. TEDWomen brings together a global community of people interested in exploring how change begins: with innovative thinkers who catalyze ideas toward action. Over the past few years, TEDWomen and TEDxWomen have launched some powerful ideas into the world. 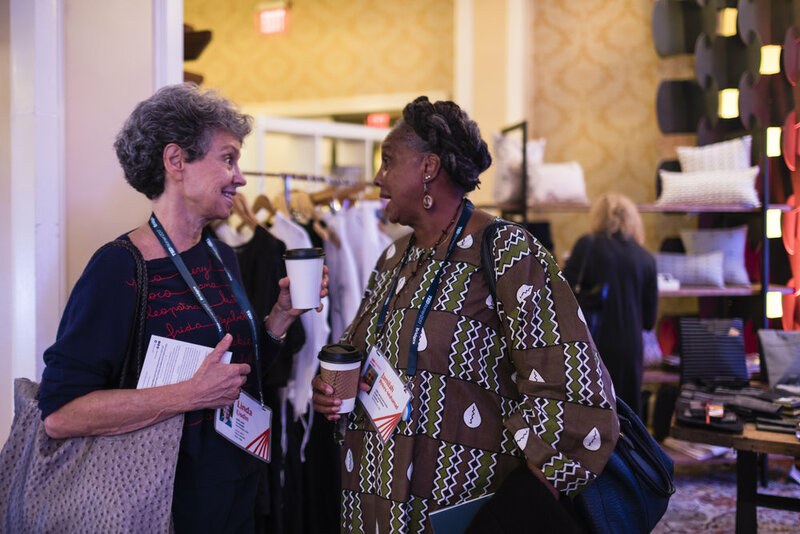 In 2017, TEDWomen took place in New Orleans, focusing on the theme "Bridges" - building them, designing stronger ones, connecting them, suspending them, burning and rebuilding them. Speakers from around the world shared their stories and visions for strengthening our interconnected world. 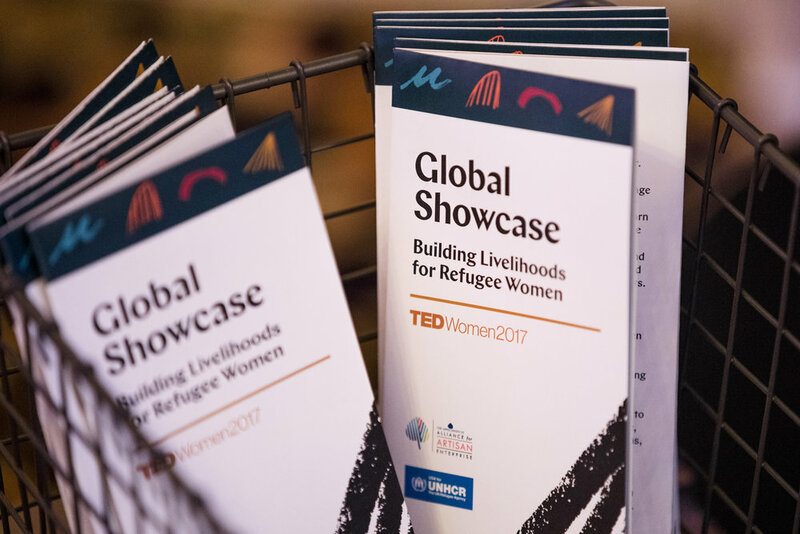 At the conference, the Alliance for Artisan Enterprise invited TEDWomen participants to hear the stories of global refugees in the 2017 Global Showcase. 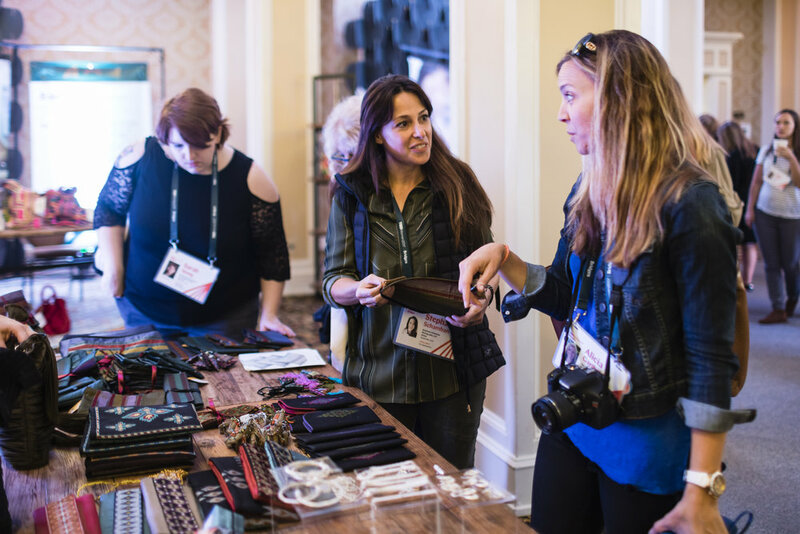 The second-ever Showcase featured 11 artisan enterprises, together creating income opportunities for more than 1,500 women to help rebuild their lives in a meaningful way. 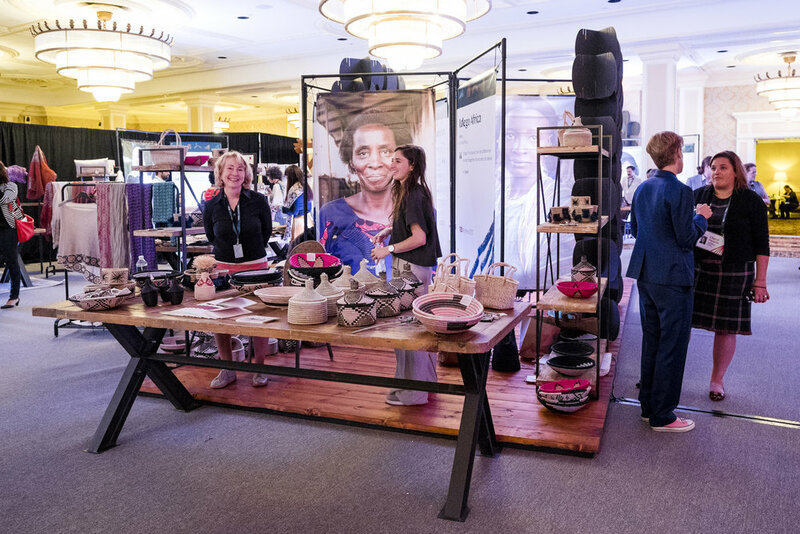 The Showcase also launched an ongoing partnership between the Alliance for Artisan Enterprise and UNHCR to build sustainable livelihoods for refugee women, often uprooted from their homes for more than 20 years. “When refugees flee, they flee with their heritage and their skills. For refugees to be able to use their artisanal skills in a way that helps them earn an income is so important in the process of rebuilding their lives in a peaceful and meaningful way,” says Heidi Christ, Artisan Value Chain Expert at UNHCR. 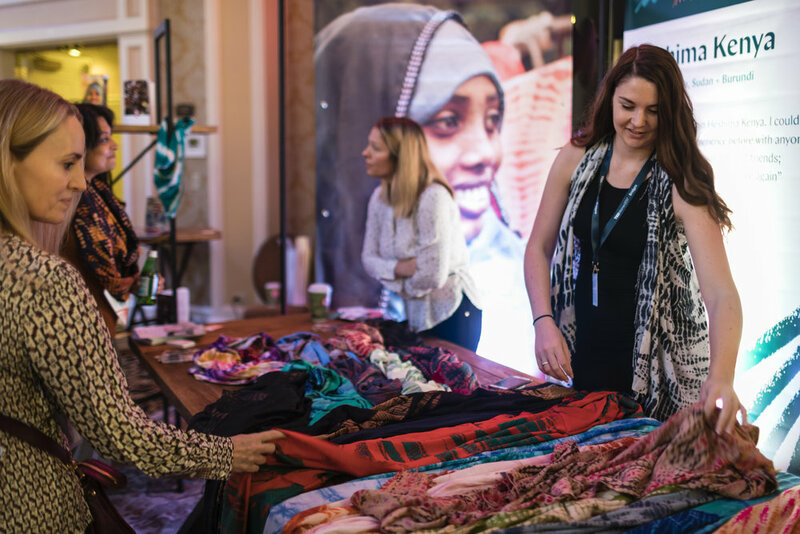 At the Global Showcase, TEDWomen attendees explored and shopped a special collection of handcrafted products made by refugee, displaced, and resettled women from Syria, Mali, Afghanistan, Burundi, and other conflict areas across the Middle East and Africa. Exquisite handmade pieces ranged from traditional Palestinian embroidery to Shibori-dyed scarves and woven baskets using contemporary color schemes. On November 2, participants enjoyed a special discussion moderated by Alliance for Artisan Enterprise Director Peggy Clark, featuring USA for UNHCR's executive director and CEO Anne-Marie Grey, Mariette Chapel of Afrika Tiss, Enaam Barrishi of the Jordan River Foundation, and Tahira Afridi of Artisan Links. Launching with the evocative trailer for Ai WeiWei's Human Flow, the panel touched issues from big-brand retail partnerships to cross-sector resources needed to create change for the 65+ million displaced people across the globe. "We have to stop looking at refugees as a burden and look at them as contributors," noted Anne-Marie Grey. Together, we can build the resources and opportunities to create real change. The Alliance for Artisan Enterprise is grateful to USA for UNHCR and individual donors for making the 2017 Global Showcase possible. 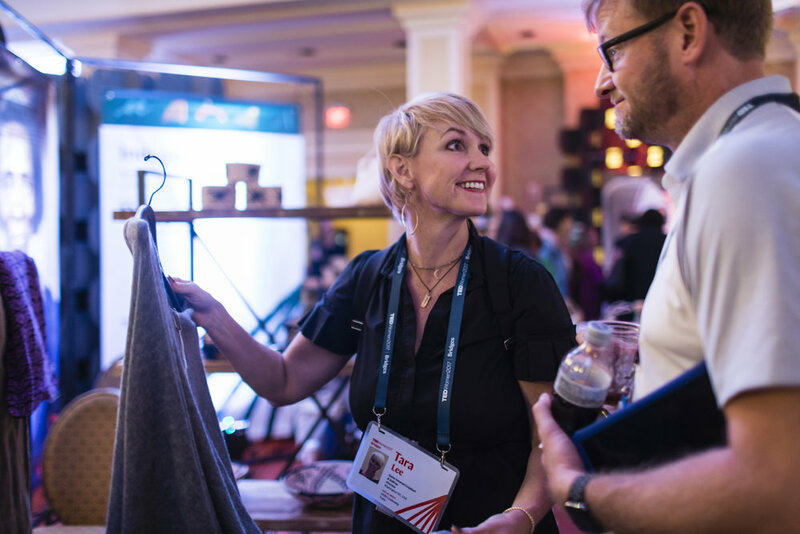 Learn more about the 2017 Global Showcase on the Alliance for Artisan Enterprise website, and in the 2017 TEDWomen program. Please contact Gina Rogari with any questions about the 2017 Global Showcase, or how to get involved with ongoing efforts to build livelihoods for refugees through artisan enterprise. All photos by Ryan Lash and Stacie McChesney for TED.